During a weekend excursion to Plains, Georgia, interns and graduate assistants have lunch with the Carters and visit historic sites devoted to their life and work. Substantive work experience: Less than 30 percent of an intern's and graduate assistant's responsibilities include administrative duties. Work directly in your field of study, gaining valuable knowledge that can enhance your professional development. Make professional connections and form networks within an international non-governmental environment. Speaker series, featuring Carter Center staff and other invited guests. Scheduled career development opportunities with senior Carter Center staff. Exclusive intern and graduate assistant-only question-and-answer session and photo opportunity with President and Mrs. Carter. A weekend excursion to the Carter's hometown of Plains, Georgia, where we have lunch with the Carters and visit historic sites devoted to their life and work. Social and team-building opportunities with interns and staff. All internships and graduate assistantships are based in Atlanta. However, opportunities arise for interns to travel with staff on Center-related trips (e.g., election-monitoring missions, domestic and international conferences, training workshops). Graduate assistants typically do not travel. 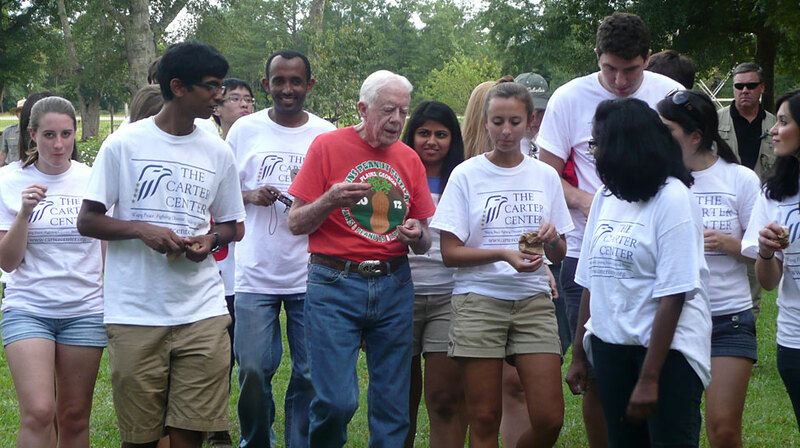 Membership in the intern and graduate assistant alumni group, which keeps you connected with the Carter Center's work as well as with hundreds of former interns and graduate assistants.